Note from the Editor: Each term, ZooCrew empowers middle school youth to become conservation leaders by providing science learning experiences that inspire them to learn, care, and act through after school and summer expanded learning opportunities. Through the ZooCrew programs, we excite youth from traditionally underserved communities about STEM (Science, Technology, Engineering, and Math) subjects by engaging with real-world conservation issues, preparing them for continued involvement in Woodland Park Zoo’s youth programs, and inspiring them to consider a broad range of STEM and conservation careers. We believe engaging these students, as well as youth across Washington state, is key to solving current conservation issues in our own backyard and around the world. Learning with the zoo doesn’t just take place on zoo grounds! 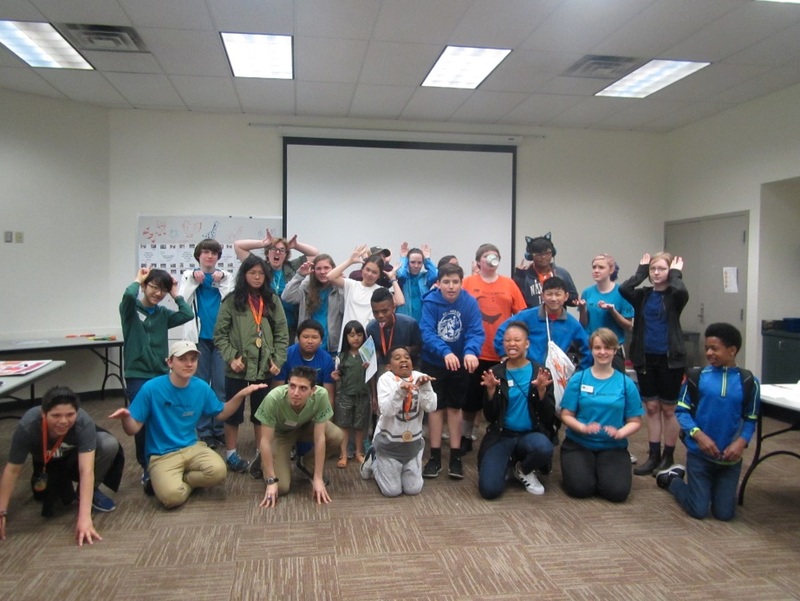 As the school year winds down, we wrapped up another awesome spring semester of ZooCrew, WPZ’s after-school program. For the past few months, students at three Seattle middle schools—Asa Mercer International, Washington and Denny International—have been delving into the tropical rain forests of the world and grappling with the issue of deforestation. They began by building the three largest rain forests of the world to learn about their similarities and differences before exploring how habitat loss impacts animals in both temperate and tropical forests. Students then took on the roles of various stake-holders involved in tropical deforestation to learn about community-based solutions like sustainable palm oil and bamboo products. 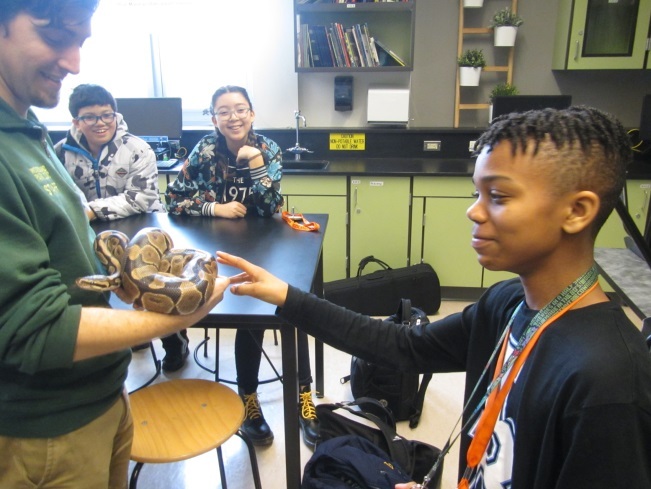 Of course, no ZooCrew semester would be complete without some visits from our ambassador animals and many rounds of our favorite game, Zookeeper! These amazing students applied all that they had learned throughout the term to their final group projects, and we are pleased to now share some of the highlights below! Getting up close with one of the zoo's resident wrigglers, this ZooCrew teen is a keeper in the making! ZooCrew students are always looking for ways to help with conservation projects in the field, and this semester they focused on two citizen science apps: 'Chimp and See' and 'Camera CATalogue'. Through Chimp and See, students learned how to notate the behaviors of wild chimpanzees to help scientists work through their backlog of video from the field. This information will help conservation programs better understand the behaviors and needs of these primates. 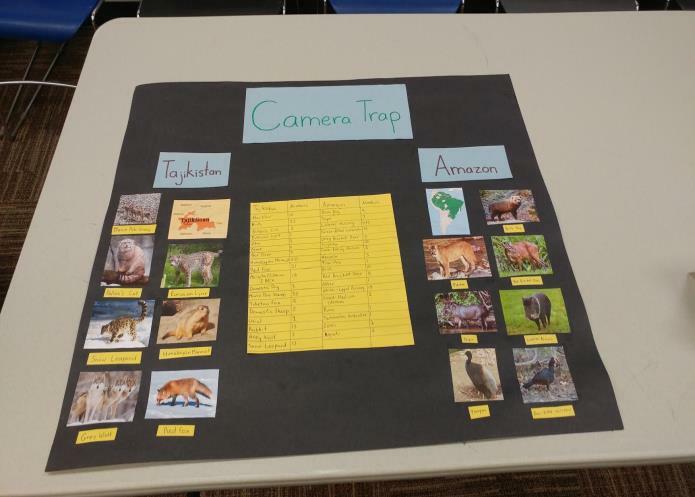 On Camera CATalogue, students examined camera trap pictures from all over the world including a large portion from Tajikistan. Given the sheer amount of pictures scientists get from these traps, participants serve as assistants to the project by identifying the species present (or sometimes not present) in each picture. 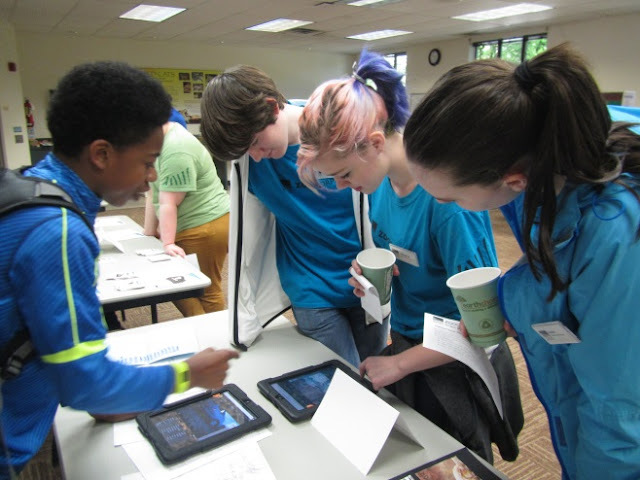 Students then used posters, iPads, and demonstrations to teach zoo visitors about what they had learned and shared ways that visitors can participate as citizen scientists. The ZooCrew students encourage you to head to www.zooniverse.org and find a project to help with! This year, ZooCrew partnered with the Puget Sound Area Association of Zoo Keepers (PSAAZK) to participate in Bowling for Rhinos, an annual fundraiser for the Lewa Wildlife Conservancy in Kenya. 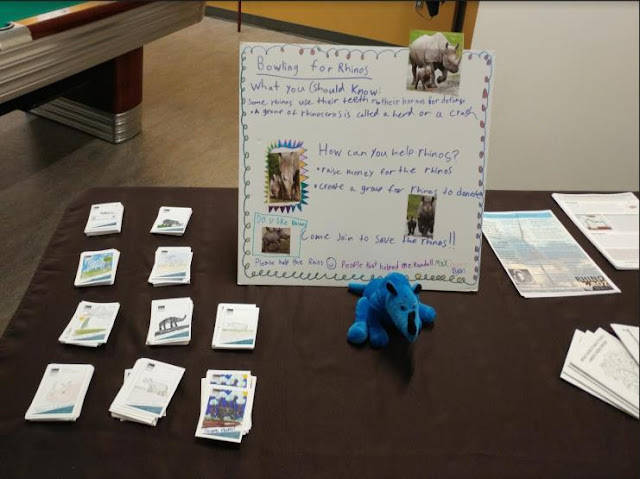 Two groups chose to make trading cards to highlight the threats to the five remaining rhino species and actions people can take to help. Another group decided a poster was the best way to share this information. Both projects were displayed at the Bowling for Rhinos event in May which was also attended by ZooCrew students and their families who enjoyed a night of bowling, taco bars, and raising money and awareness for rhino conservation. Hand-drawn trading cards to highlight the threat to rhinos and an informational poster, way to go ZooCrew! Sometimes the products we buy become the strongest voice for conservation. This lesson was at the core of three projects that focused on educating the public about their consumer choices. 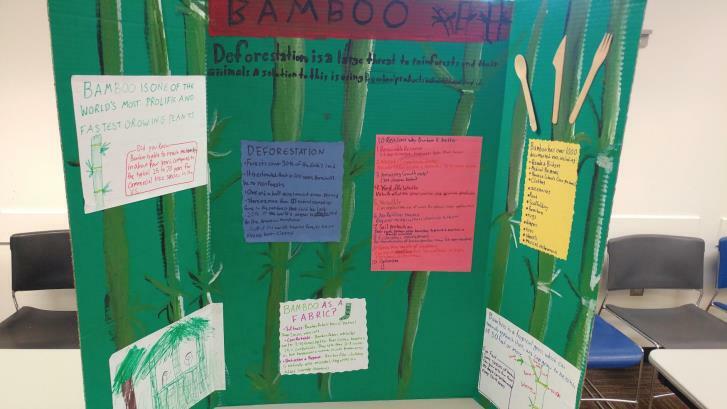 One group chose to create a video and poster discussing the benefits of bamboo as an alternative to wood products. 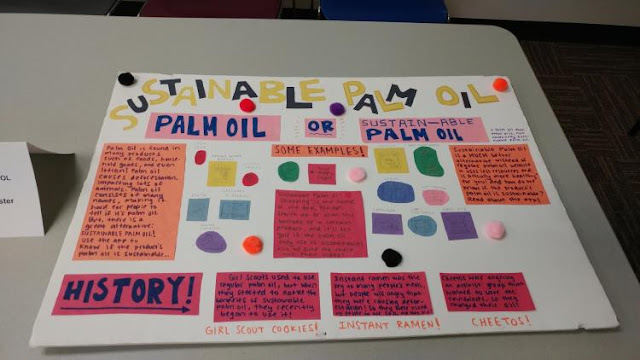 Two other groups chose to inform the public about sustainable palm oil including a list of products they should or shouldn’t purchase and an app that can help you figure out if a product uses sustainable palm oil or not (Sustainable Palm Oil Shopping). What better way to help with habitat loss than to build a new home for the animals? Our bat house group took this to heart and aimed to create a new home for some of our local bats. Not only did they spend many weeks building and painting, but they also put together a poster to share the importance of these local animals as well as information for people to put up their own bat houses. Every semester, ZooCrew aims to get out into the community and help with restoration work. This was even more pertinent this semester with our theme of habitat loss. Teaming up with the Duwamish Valley Youth Corps, we spent a Saturday morning helping to expand a community green space around South Seattle Community College. From mowing the grass to helping weed and plant traffic circles, both students and their families had a great time giving back! The program culminated with students and their families coming together for our trip to the zoo! On a beautiful May Saturday, students and their families started off by exploring zoo grounds with the help of our ZooCorps teen volunteers. During our customary pizza lunch, we were treated to an overview of the Malaysian rain forest and the work of our conservation partner Panthera by keeper Christine Anne. After some special keeper talks at the jaguar, gorilla, and warty pig exhibits, the day wrapped up with our project showcase where students from all three sites showed off their projects and answered questions from parents, ZooCorps teen volunteers, and zoo staff. As the spring program ends, we wanted to extend a giant THANK YOU to our community partners, ZooCorps volunteers, and the zoo staff who help make this program possible. This summer, King County voters will have the opportunity to significantly boost access to science, arts and heritage educational programming. 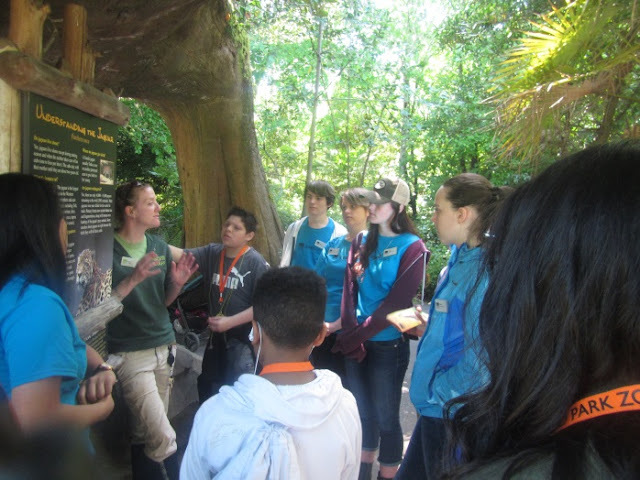 If passed by vote, Proposition 1 - Access for All will provide funding to Woodland Park Zoo and more than 350 community-based organizations to expand access to learning experiences, such as after school learning for underserved communities throughout King County. While school may be ending soon, ZooCrew is just gearing up for our summer learning experience. 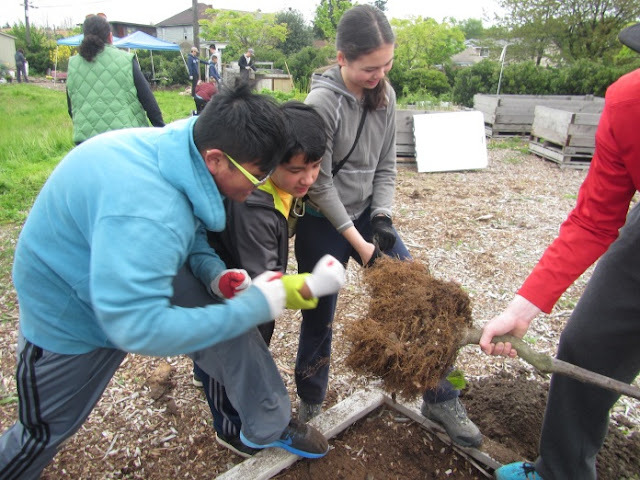 This summer, look out around Seattle for a group of orange-clad middle schoolers as we get ready to delve into the personal actions we can all take to live more sustainably! Fantastic work, ZooCrew Spring 2017, we look forward to seeing how you will change the world to protect animals and their habitats!